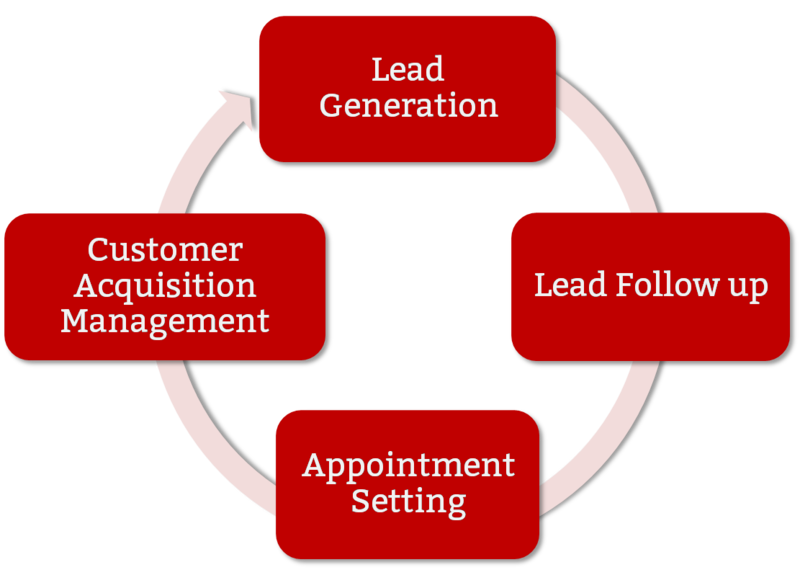 Sales lead generation is the fuel that powers the sales engine; it is the single biggest sales activity to ignite the selling process. Sales lead generation includes three core principles: First is having the correct product to market fit strategy including compelling offers. Second is putting the product and offers in front of the right audience in large enough numbers and third is giving the audience a reason to act or interact with the business now. If a business can make the above three things happen and then use some of the tips listed below to gain sales momentum, it should put the sales engine on a path for increasing sales while refining a sales strategy that will work in the future. Every sales manager or sales leaders knows that the sales growth is a given together with other sales goals the business demands. 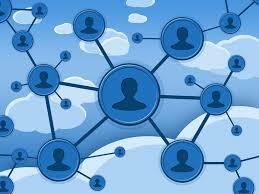 It could be to boost sales by twenty percent or acquire new customers in a new market. Maybe the sales plan includes launching a new product line. To move sales planning and goals into sales success, sales leadership calls for carefully planned out selling tactics; clear eyed understanding on the current state of the business and the maturity to know when and what to change. View all lead generation activities as a financial investors would view an “investment portfolio” of assets — such as shares, bonds, stocks and real-estate investments. Financial investors have a diversified investment portfolio because it reduces the risk and maximizes the chances of success, so if one investment strand is not performing, the other investments will pick up the slack. Sales and business development operate in much the same way; every business should have a “sales lead generation portfolio” of all the different types of lead generation sources and different activities to gather sales leads. 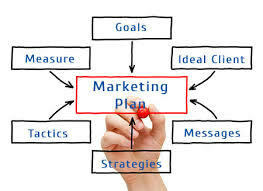 Plan for the future because even if a business is getting sales leads from one source (say, inbound marketing), if the sales leadership within the business implements a diverse portfolio of lead generation sources with targets, the business has multiple opportunities to get new sales leads from other channels (such as content marketing, social selling, networking, cold calling or email marketing). Where did the business get most of the new sales leads last year? Where did the business get the biggest or highest close rate leads? Which marketing activities worked well, and which ones did not deliver? What was the cost per sales lead per activity and lead to revenue costs? How can the sales strategy be fine-tuned and how can the sales activates be adjusted to do more of the “effective” lead generation tactics, and less of the activities that did not deliver the results? Every sales leader must keep evaluating the sales lead generation performance against targets along the way, and take the corrective actions to ensure the sales pipeline keeps flowing. 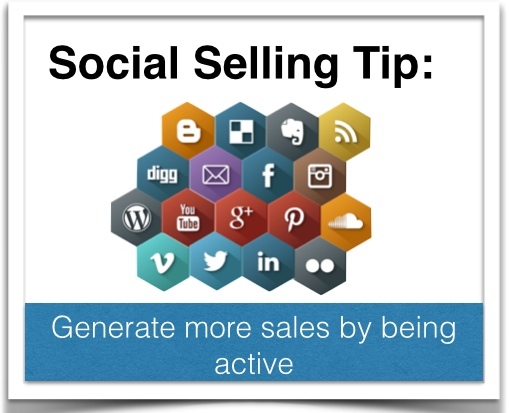 Customer referrals and checking back in with old prospects or dormant customers is often an overlooked sales activity. Get the sales teams to contact old customers, dormant customers, lost business leads, buyers (if they have moved on) and people who have bought before but the business has not interacted with for a while. Things move on, people change roles, business needs are different, business lost to competitors may be in play again, so get the sales team to spend some time on this lead generation activity. 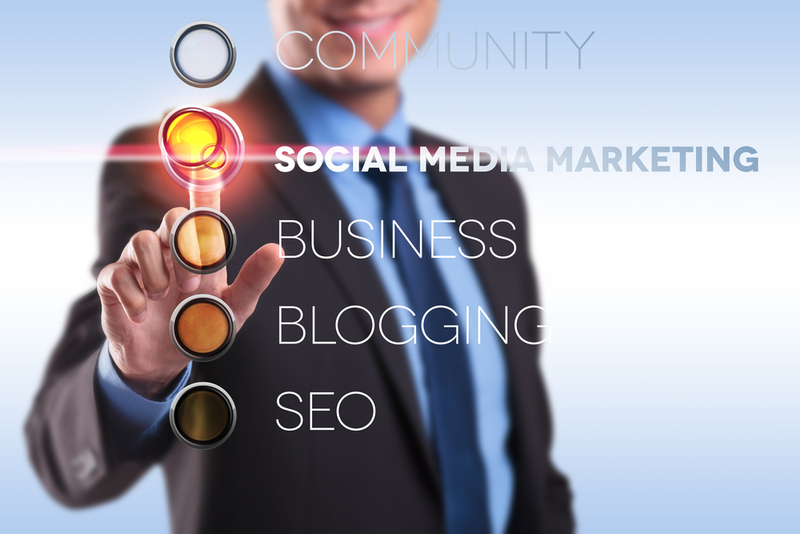 Formulate a plan to check in with them and see what’s happening with their businesses. Ask questions, listen to them, and try to kick start the relationship that led them to consider or buy from the company in the first place. It has been proven that it is easier to generate more revenue and referrals from the existing customer base (or former customers) than it is to find, qualify and convince a new customer to buy from a business for the first time. As the sales lead generation portfolio gathers momentum and the business starts getting more inquiries from prospective customers (calls, contact forms, emails, request for information, whitepaper downloads), it is important the sales teams understand the value in a sales lead. The sales leadership must ensure there is a process and system to handle every single sales lead. Talk (not email) to al new prospective customers. Listen, profile and ask questions. Identify their needs, budgets, authority. Correctly align to either lead nurturing, sales nurturing or discard. Best sales management practise suggests that upfront qualification of inbound sales leads saves a lot of time later during the sales process. 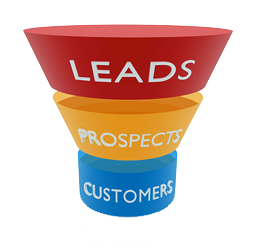 Ensuring sales leads are identified by the best, most promising, highest priority sales leads and then lead nurturing the ones that are not ready to buy now leads to a clean and transparent sales pipeline. 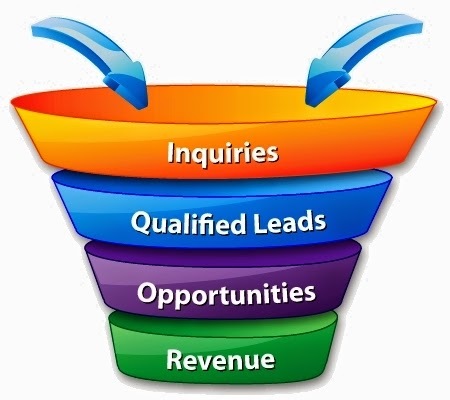 These three steps to sales lead generation should help a business to focus or redefine the sales lead generation process for improved lead to revenue performance. For more on this subject read related articles below. In Ireland, sales outsourcing or Sales-As-A-Service should be considered as it can offer multiple benefits to a start-up or growing business. Companies can boost its sales functions, accelerate sales and build the business faster by contracting in an interim sales manager or director for outsourced selling, business development or lead generation. Outsourcing is nothing new as many Irish small businesses already outsource their PR, advertising, marketing or finance functions. In fact a number of recent studies have shown that mid-market companies that are using sales outsourcing can have a competitive advantage over companies that have all these sales functions in house. Lean, agile, high growth companies are now taking a different approach; they are finding sales partners with the experience to cost effectively and efficiently drive their sales strategy. Recruitment costs and time makes building a sales team no easy task. An outsourced sales partner fit in to take the same company approach to selling while also investing time in getting to know the business. An experienced sales outsourcing company can then provide the sales and marketing skills necessary to go out and win customers. The benefits to a business are instant access to an experienced sale professional who will short circuit the time to find the right markets, customers, messages, and media for exposure. An outsourced sales partner hits the ground running faster, cutting down on the ramp up time to target prospects and new customers. 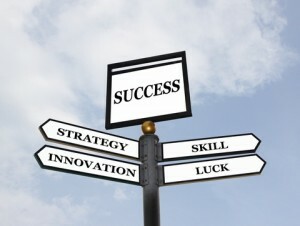 The sales outsource partner should have the ability to refine or quickly implement the company’s sales strategy. When a company needs revenue, to test or define a target marketing, outsourcing some sales functions is a way to get sales resources fast without any long term commitment. A major benefit to a budget constrained or small business is that sales outsourcing cuts out a lot of the risk. The investment of time and money into hiring a full time sales person can lead to a company holding on to a person even when they are not delivering on the sales, whereas the agreement with an outsourced sales partner can usually be terminated within 30 days’ notice. The Bitter Business is owned by a seasoned executive who has the proven experience and skills necessary to oversee a company’s sales efforts and help the founders and management to put it on a path to success. The sales and marketing service on a risk-reward model can utilise existing business relationships, contacts and networking which is put at the disposal of the company. Also outsourcing sales is a great way to kick start demand generation for a smaller business and sales outsourcing means the business is free from having to generate leads from customers in order for the sales partner to start working. Results driven as both sides are making an investment! Outsourced sales services are focused on sales acceleration to a business (B2B, sales partners, channel or business partners). Areas where a business could deploy an outsource sales partner could be inside sales to generate and close leads, channel development to speed up the sales coverage, lead nurturing to work the sales pipeline or as an experience sales manager to refine and implement the sales strategy. The Bitter Business is focused as a sales accelerator. Working with a broad range of client companies, (mostly start-ups and smaller growth orientated business owners) to help them achieve sales and growth targets. We are based in Ireland but extensive experience in US, UK and EMEA markets. Using a combination of networking, social selling, prospecting, telemarketing and good old fashioned selling, the sales services are supported by deep insights into marketing and customer acquisition strategies. This is a guide to a customer acquisition strategy. For many start-ups and new companies the customer acquisition strategy and financial cost of customer acquisition is a critical factor in business survival and often underestimated in a growing business. The cost of getting customers can be the difference between success and failure no matter how good a business believes its product to be. I once read that the goal of any business is to acquire, develop and maintain customers at a profit. The develop and maintain aspects are more clear forward but let’s focus on the cost associated with acquiring new customers regardless of the channel. Every business needs to acquire new customers to make products and businesses work. Whether the product is aimed at enterprises paying big money or getting thousands of visitors to a website, how a business gets and the cost of getting customers are the important part. The Definition of Customer Acquisition Strategy could be defined as “The process of persuading someone to purchase a company’s goods or services”. The cost associated with the customer acquisition process is a critical measure for a business to evaluate in tandem with how much value having each customer brings to the business. Is The Business Ready for Customer Acquisition? Paper never refuses ink and this saying has been true in many a business or sales plan when it comes to putting a cost on customer acquisition. The cost is not just the marketing or sales cost but the time and resource cost to getting new customers. Has the business planned for the sales cycle, the demos, the travel, product trials or has a website planned for the cost from free signups to paid, customer or product support prior to a customer making a purchase. In other words, can a business survive while potential customers go through the acquisition cycle? While a quote like “move fast and break things” is exciting in a company start-up situation, it may not be the best advice when it comes to customer acquisition. The decision to start spending investor or shareholder money taking a product to market and begin acquiring new customers should be given the weight it deserves. Entrepreneurs or a business might have spent months or years developing the product, so the execution of the customer acquisition strategy has to be thought out very carefully. Even before you spend a cent on customer acquisition ask the questions “is the product ready for some/many customers”? Are there still bugs that will make the customer interaction with the product flawed? While the saying “done is better than perfect” to avoid feature creep is practical; it would be a mistake to launch a broken product and fall at the first hurdle. To take a step back into the business plan around customer acquisition strategy, can a business tick the box on questions like; how many sales calls per day do you expect the salesperson to make, do they have a target list of suspects and prospects, how much activity on the website can the servers handle? Do you have the customer support with the knowledge required to respond to the questions from new customers? Does the product value proposition the salesperson has to sell make sense to people outside the company? In other words, have you done customer validation? These are the type of questions that you need to answer before committing money to a launch. Any customer acquisition process is not straight forward or predictable but especially so for new companies, but that doesn’t mean a plan is not useful or necessary. The customer acquisition process is far from an exact science. There are many things that can (and do) go wrong, however there are some things that any business can do to mitigate risk and improve the chances of successfully acquiring new customers. Be clear with your team what “Cost to Acquire Customers” (CAC) means, is it paying customers, trial customers, engaged prospects or even website registrations. In the long run it should only mean the cost to acquire a paying customer. Money for new product or new business launches is hard won. The budget and time for a start-up may be tight, so the business needs to estimate “worst case scenario” the cost to acquire customers (CAC) before beginning the marketing or sales process. A businesses CAC is loosely defined as the cost of ALL the sales and marketing expenses over a given period of time, divided by the number of customers the business plans to acquire in that time frame. While no business can have a firm sense of the CAC until they begin acquiring customers, having an estimate will help the business leaders prepare to act accordingly. Logic rules, no matter how excited a business is about getting it out there, do not underestimate the impact of starting the customer acquisitions spend before the product is ready. The greatest risk apart from alienating potential customers by launching a flawed product is the money a business can burn through before it realises it got something in the product wrong. Every business should ask, what is the baseline product I am willing to “show” potential customers and in what target markets? Thread carefully in the world of social media and PR, spending time and money on journalists to line up business or product coverage of your launch, only to find out that the product is delayed or has issues, can put the business credibility in jeopardy . Journalists lose interest pretty quickly and are never your friends. Many business underestimate or do not budget for a realistic CAC, if we take the above example the cost of customer acquisition can climb rapidly if leads require a sales person to convert them. This human interaction can be as simple as email follow ups right up to inside sales people doing multiple sales calls and demos. Depending on the trial/registration rate along with sales conversation rates the cost can vary from €400 to over €5,000 per new customer acquired, depending on the level of interaction needed. Another CAC calculation is to look at the cost of a field sales force. The fully loaded cost of a field sales executive with travel, car, expenses and salary can push the CAC into over €10,000 in enterprise sales. In trying to address the single most important early-stage question – customer acquisition – it is easy to waste a lot of money in the wrong channels and on the wrong customer acquisition tactics (lots of companies in the graveyard from just this one failure), especially the new companies that went toe-to-toe with the big guys and can got blown away. A business will only thrive by marketing and selling smart; acquiring customers in an economic way and in a way that differentiates the business from the crowd. To goal is to build a customer acquisition strategy for paying customers the business does not have to keep paying for every month. In larger companies with deeper pockets while the customer acquisition isn’t exactly simple, they do have more resources. The process of customer acquisition is more challenging for newer companies. Established business’s will utilise bigger budgets, have greater brand awareness, and an ever growing community of influencers. Most new businesses will not launch with a partnership with an established brand like Microsoft, Apple or Google where the demand for the product already exists. Instead a new business has to allocate sales resources and money wisely to fight (and a fight it is) to let potential customers or audiences know that you exist, explain to them why they should show interest, and initially even offering to go the extra mile by holding their hand through the sales process. Acquiring new customers means understanding what makes your customers tick and investing in inbound marketing strategies such as content and quality articles, got onto the forums, become a subject matter expert and invest in search engine optimization (SEO) as a longer term tactic. Web based companies have long understood these metrics as they have a much easier easy way to measure them. However there are huge benefits for all businesses to look at these same metrics. To compute the Lifetime Value of a Customer(LTV), you would look at the margin that you would expect to make from that customer over the lifetime of your relationship. Margin should take into consideration any support, installation, and servicing costs. To be in business requires huge optimism, and in a belief in how much customers will want to buy your product. Unfortunately this can lead businesses to believe that customers will be kicking down the doors to purchase the product. This has the effect of grossly underestimating the cost it will take to acquire customers. In too many companies there is little or no focus on how much it will cost to acquire customers. 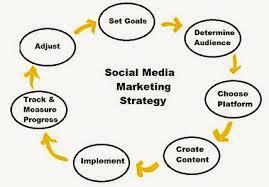 Vague strategies along the lines of web marketing, and/or viral growth with no numbers is not what you call business! 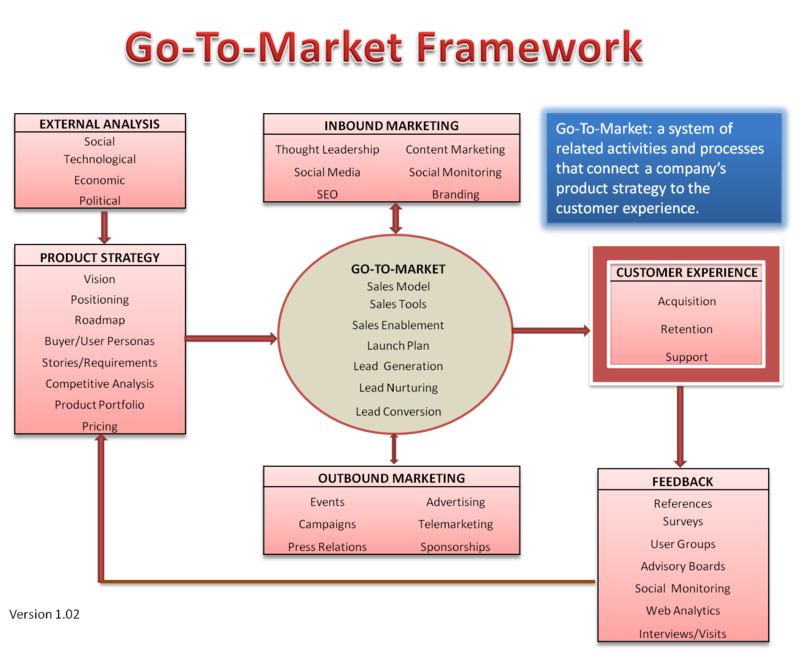 To finish, a well thought out CAC plan outlines the need to acquire customers through a series of steps like SEO, SEM, PR, Social Media Marketing, direct sales, channel sales, etc. with the cost of each step worked out. This planning brings honesty to the real cost of customer acquisition.